My evening classes meet at the Palo Alto Art Center. All my classes are focused on building your skills in accurate observation and interpretation. My students love the structure of my class-- 10-20 minutes of focused demonstration and instruction in a specific topic, then time to paint with guidance or on your own. 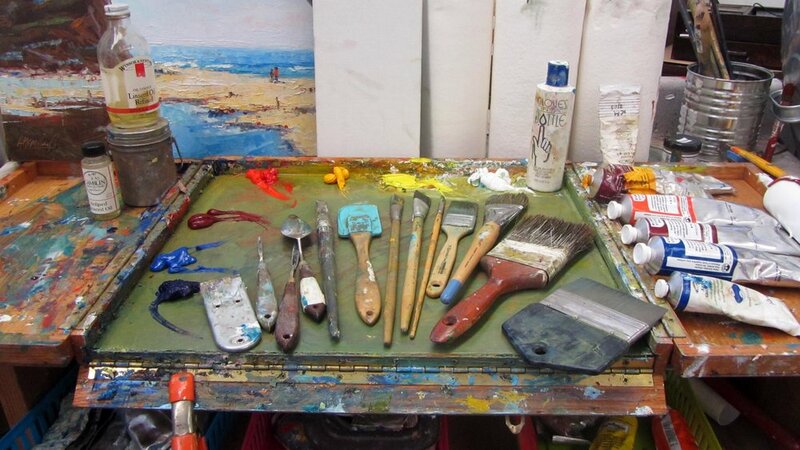 Whether they are at the Palo Alto Art Center or farther afield in Mendocino or Carmel, my workshops follow a similar structure as classes-- directed instruction concisely delivered, then time to put new skills into practice. Party like Matisse, mess about with paints or get drippy with encaustics. I have been asked recently to put on special group events with a smorgasbord of art supplies and some light instruction.